The Anger Class Online® class was designed for individuals who need to take an anger management course for a court order, at the request of their employer, or for personal reasons or requirements. It was designed by Ari Novick, Ph.D. and Tony Fiore, Ph.D and uses their highly acclaimed model of intervention using the curriculum Anger Management for the Twenty-first Century and the 8-Tools of Anger Control. Together, they operate Century Anger Management, one of the leading anger management training organizations in the country. 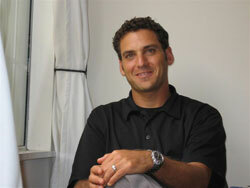 Dr. Novick is a Licensed Marriage and Family Therapist and certified anger Management provider. Dr. Fiore is a licensed clinical psychologist and a certified anger management professional. Several years ago, Dr. Novick started the AJ Novick Group for Anger and Stress Management to meet the demand for services in anger and stress management. Dr. Novick has made numerous presentations on the subjects of anger management, stress management and empathy. He has been featured on both Discovery Channel and Fox Television. Dr. Novick is also a corporate consultant and conducts workshops and seminars for corporations in both the public and private sectors. He is also the co-author of the highly acclaimed book in anger management, Anger Management for the Twenty-First Century. He is also the co-founder of Century Anger Management, which is one of the leading national training organizations in the field of Anger Management. Anger Class Online® is a U.S. registered trademark. View our trademark information. This online class is for educational purposes only. Anger management is an educational class. It is not psychotherapy or a substitute for psychological or medical advice or counseling. Sometimes our clients need additional information to to provide to a court, attorney, human resources or other referral source. We have created a document which provides this information.